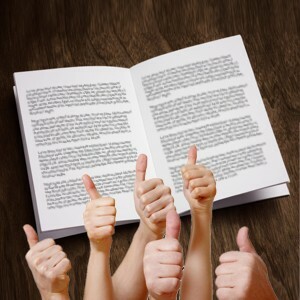 25.04.2013 - What do the experts read and recommend? At irregular intervals we ask trainers, academics and project managers to recommend key books to us. The books recommended by Dr. Roland Ottmann, founder of Ottmann & Partner Management Consulting and Chairman of the IAPM’s Council of Experts, contribute to providing project managers with the understanding of global political, social and economic interrelationships that they need to be successful in trans-national projects. Based on the last 600 years of economic history, former Coolidge Professor of History at Harvard University Landes elucidates the reasons why some countries and regions of the world experienced near miraculous periods of explosive growth while the rest of the world stagnated. He argues that several criteria such as climate, culture and political competition play a role. This is a ground-breaking book on global economic history. David Graeber: Debt. The First 5,000 Years. Melville House, Brooklyn/London. Anthropologist David Graeber reverses conventional wisdom by showing the history of mankind as a history of debt. He proposes that for more than 5,000 years humans have used elaborate credit systems to buy and sell goods, and even then society was divided into debtors and creditors, driving people into slavery and dependence. Ian Morris: The Measure of Civilization: How Social Development Decides the Fate of Nations. Princeton University Press. In the last thirty years, there have been fierce debates over how civilizations develop and why the West became so powerful. Morris, an archaeologist and historian, presents a brand-new way of investigating these questions and provides new tools for assessing the long-term growth of societies. Using a numerical index of social development that compares societies in different times and places, he sets forth a sweeping examination of Eastern and Western development across 15,000 years and offers the surprising conclusion that Western dominance has passed its zenith.